Here at Epson, we understand education, and we use this knowledge to design technology that makes learning continuous and efficient. Our solutions keep information moving. 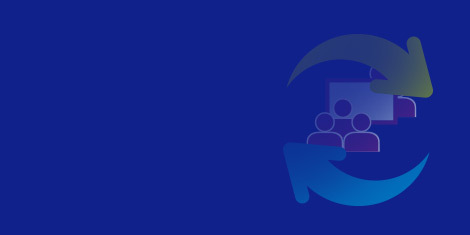 They connect collaborative groups, capture attention and empower both teachers and students. Today’s technology needs to work seamlessly and continuously, from screen sharing and flexible learning to collaboration across locations, as well as empowering educators and students with a Bring Your Own Device (BYOD) strategy. 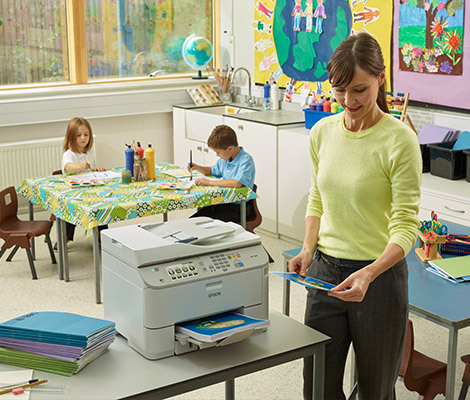 Epson’s technology supports this dynamic learning environment. Students are more connected than ever – and they expect the same of the technology they use to learn. Students are more connected than ever – and they expect the same of the technology they use to learn. Simple to use, highly reliable, and easy to maintain, our Wi-Fi solutions put your institution at the cutting-edge of education technology today, and protect your investment for the future. Support collaboration and remote learning with interactive display solutions in any size of learning environment. Create a dynamic learning environment by projecting content from up to four devices simultaneously, and share content between devices1. Get quality prints faster with WorkForce Pro RIPS printers that are 3.5x faster for first print out2 and can produce up to four times as many prints as competing colour inkjets3. 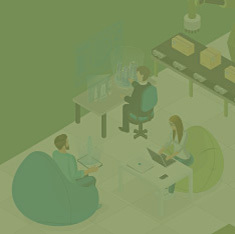 Scan anything from a postage stamp to A0 in high resolution, and share via email, cloud, local folder, mobile and more. Manage your digital documents with ease; save on storage space and reduce file loss with easy access to historic documents. Bring learning to life and stimulate all kinds of abilities. Bring learning to life and stimulate all kinds of abilities. Give students the confidence to pursue their own ideas, and inspire them to discover their own solutions. Our collaborative solutions put students in touch with their curriculum, so they can achieve better results and develop skills for life. 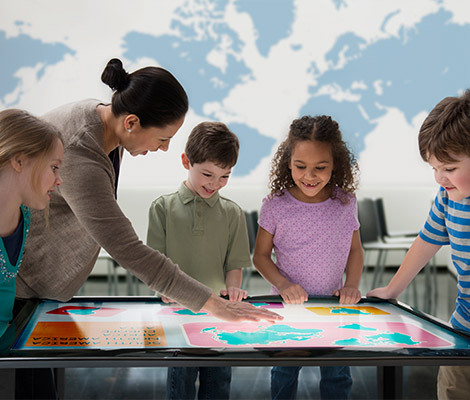 Create, inspire and collaborate in modern learning environments and engage every student with our display solutions. 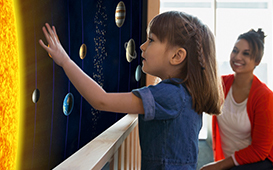 Encourage self-discovery with direct drawing and annotation over displayed content with finger-touch and dual pen interactivity on our interactive display solutions. Provide a new perspective and allow viewing and analysis of 3D objects on a large screen with our Full HD visualisers. Your IT equipment should be built to last, easy to run, and support cross-curriculum learning. 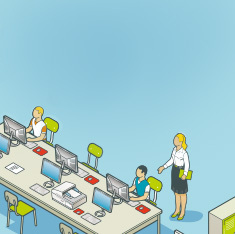 Your IT equipment should be built to last, easy to run, and support cross-curriculum learning. Epson technology offers value right from the start, so you can focus on unleashing creativity and collaboration – without worrying about any hidden costs. Save time on tasks like student enrolment by digitising documents – our scanners use automated workflows to integrate seamlessly into your existing processes. Project at the right size for the room; Epson interactive displays can be scaled up to 100", and are flexible to any room size or layout. 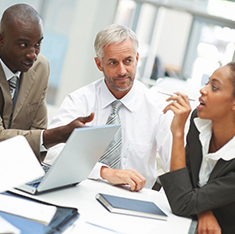 Transform ideas and visual aids into professional-quality in-house creations with affordable, fast and reliable prints up to 64" while reducing external resource costs with our large format printers. Maintain high quality prints and manage costs with up to 84,000 pages of uninterrupted printing using WorkForce Pro Replacement Ink Pack System (RIPS) printers3. 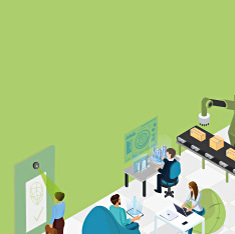 Budget for the future with Epson Managed Print Services; predict and reduce printing costs, receive replacement consumables automatically, and pay only for what you use. At Epson, we understand the importance of supporting a greener planet for future generations. Meet your environmental targets with up to 99% less waste from WorkForce Pro RIPS7, Replaceable Ink Pack System, use up to 96% less energy with WorkForce Pro printers7 and double your print speed at half the power consumption with the WorkForce Enterprise series8. 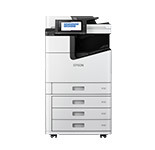 Save electricity and CO2 with Epson’s WorkForce Pro models, which use up to 96% less energy than lasers and laser copiers7. Cut power consumption with Eco Mode on your interactive display solutions and extend lamp life. Reduce your carbon footprint using scanners with no warm-up time, and reduce power usage with built-in ReadyScan technology. Calculate the electricity and CO2 savings a WorkForce Pro printer could achieve in your education environment with our calculator. 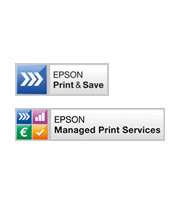 Find out more about on-site servicing and Epson warranties. 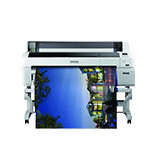 Find out more about Epson warranties. Find out more about your options for servicing if you need it, including on-site support. Need help? Visit our support page to find useful information and how to contact us. 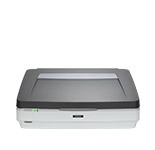 Thank you for purchasing an Epson product, and for taking the time to register it. Three years extended printer warranty on selected Epson printers. 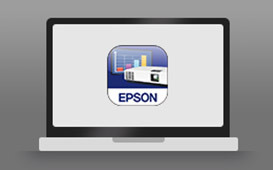 Find out more about the different ways you can take advantage of Epson products by leasing them. 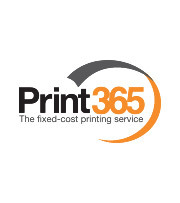 Print as much as you like, hassle-free with no hidden costs. See more of our support videos. See our whole range of software solutions and system compatibilities below, including those provided by our partners. 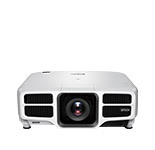 Take advantage of Epson’s specialist software solutions to enrich your projector and benefit from increased capabilities, confidence and control. 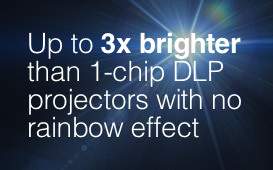 As the world’s leading projector manufacturer3, we understand the need for the right projection solutions – allowing you to present how you want, where you want, easily and effectively. Epson's devices are compatible with software services and solutions that can really help to improve your organisation’s workflow, control costs, boost efficiency, and enable the seamless integration of devices into ever-changing environments. 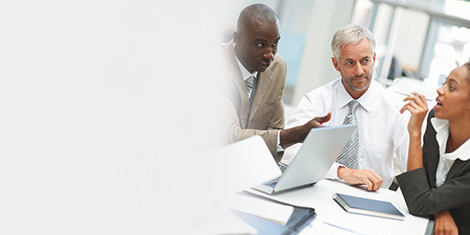 For more information on business solutions contact us and an Epson representative will be in touch. 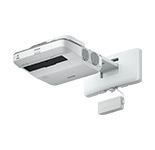 Encourage a learning dialogue between students and teachers with an Epson interactive ultra-short throw display solution. 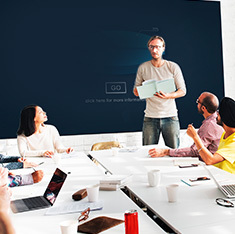 Screen size matters, so benefit from projecting content on a scalable screen of up to 100" in Full HD, interact with group projects using gestures or pens, and make, share and discuss notes without having to power up a PC. 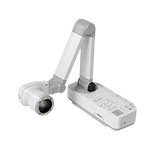 Enhance learning with an Epson visualiser, a lightweight Full HD desktop camera. Display large printed pages, 3D objects, experiments and even living things in close-up, both for workgroups and larger audiences. 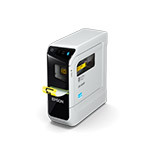 Our WorkForce Pro RIPS printers help you to boost productivity by spending less money on consumables and less time on maintenance – so you can work without interruption. Produce strong, long-lasting labels in a wide range of tapes and text colours. LabelWorks label makers help to ensure reports, resources, assets, files, cables, and components are correctly labelled and easy to find. With our large format printers, you can produce posters, banners, prints for clothing and more, without the need for a professional print shop. Some examples include students creating architectural CAD plans and designs, fashion prints and patterns, or fine art and photography. Print high-quality documents at superfast speeds of up to 100ipm with WorkForce Enterprise – a reliable and environmentally friendly departmental colour A3 MFP with optional finisher. Enable students to use our high speed and high resolution devices to capture the detail of research material – from negatives, photographs, books and newspapers. 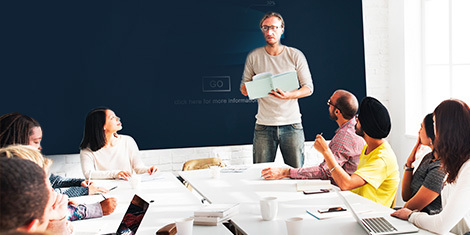 Develop learning and bring your resources to life with exceptionally bright colours and highresolution quality that can be scaled to a room of almost any size. Our interactive display solutions provide a scalable image size. Unlike flat panel displays, whatever the room, every student gets a perfect view without losing image quality or needing constant zoom adjustment. Having the right sized image for a room can make a huge difference to levels of concentration, enjoyment and understanding. Our 3LCD technology combines high resolution, brightness up to 8,000 lumens and rich colours to produce vivid, engaging images even in brightly lit classrooms. 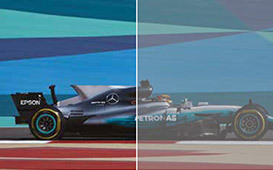 And three solid-state optical panels enable seamless colour blending for beautiful, consistent images. Inspire and engage students with the brightest, most colourful images. 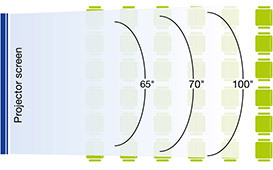 Whatever the subject, count on the right level of brightness for all content, as we quote the true levels of both Colour and White Light Output. Move around the room and effortlessly share Chromebook content with wireless connection to the classroom’s interactive display. With the Epson iProjection app for Chromebooks, you can share content to the display, or use the Epson Multi-PC Projection software with Moderator function to share content from up to four Chromebooks at a time. With interactive display, everyone can become part of the learning process. 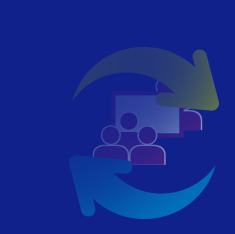 20% of people retain less than 20% of what is presented to them on slides6, but our education solutions can improve retention of content and inspire collaboration by encouraging physical engagement with the content on display. Find a wide range of resources regarding the education sector. These include articles, case studies, infographics and brochures, featuring information about Epson products, solutions and market trends. 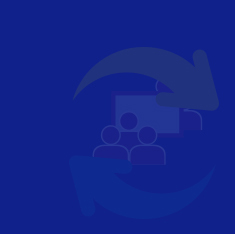 Whether you're interested in introductory seminars, programming and maintenance courses or operator training, our experts are happy to pass on their knowledge to you and your staff. There are currently no news. There are currently no fairs or events. For more information on the Epson solutions for education, simply fill in your details below and an Epson representative will be in touch. 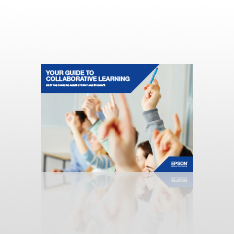 Discover how reliable Epson technology can help you enhance learning, encourage collaboration and get more from your budget. 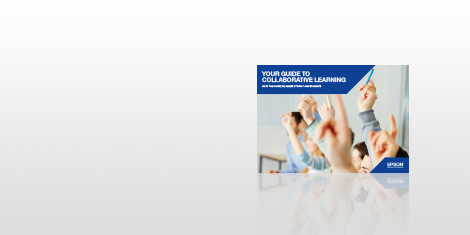 Download our free guide to collaboration in the classroom and enhance the learning experience for students. Unfortunately your download was unsuccessful at this time. Tick if you would like to receive more content via email. 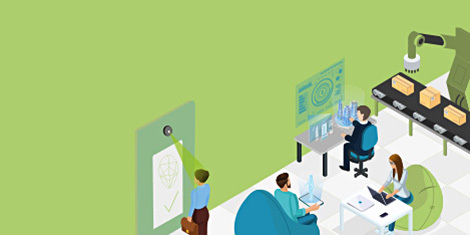 Change the way you work with smart technology that saves you time and money. Here at Epson, we understand education, and we use this knowledge to design technology that makes learning continuous and efficient. Visit our support page to find useful information and how to contact us. 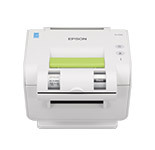 Visit the store to browse more Epson products. Sign up to our newsletter to receive regular news and offers. On local networks with Epson Multi-PC projection or using Epson iProjection App designed to be used Android and iOS devices, and Google Chromebooks. High ink supply unit capacity of up to 84,000 pages approx. page yield. Actual yield will vary depending on images printed and usage conditions. For more information visit www.epson.eu/pageyield. Initialisation inks only have enough ink to support printer start up, new inks have to be purchased or supplied for normal operation. Compared to leading 70" class model 4k resolution flat panel (top selling – in units – excl sales into hotels according to PMA Distributor data for North America, sales between Jan-Sept 2015) in a 6.7 metres wide x 8.2 metres deep classroom style arrangement. When asked to copy down six short items of information from slides being displayed, 58% of students aged 12-22 copied at least one item incorrectly. Based on US research conducted by Radius Research, April 2016. 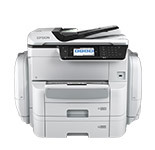 Typically 45-55ppm laser printers use 1500W, the WorkForce Enterprise has a low power consumption of 180W – 320W and prints at up to 100ppm. Based upon the extraction and processing of raw materials and supplies fabrication. As tested by Epson methodology: 1. Calculation is only CO2 emission as global warming environmental burden. 2. The results of calculation is based on self-declaration. (Third-party verification is not received). 3. We use the coefficient of CO2 (kg-CO2/unit) published in JEMAI data base “LCA Pro”.